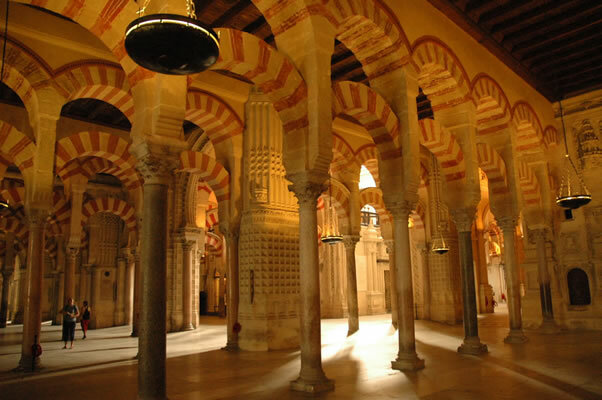 This is the oldest section of the Mezquita, ordered built by Abd Al-Rahman I. Notice the great selection of columns taken from San Vicente church (whose floor was recently revealed beneath the Mezquita's floor) and other ruins. The ceiling was raised by means of using a double arch, which some say was inspired in Segovia's Roman aqueduct. The extra height, together with the open arches facing the patio, provided light. In the background, the butresses of the 16th-century cathedral.